It is impossible to show all the stocks that I have finished in the past 25 years on this Web page. As I have returned the finished stocks to my customers, I have photographed many of them ( 50 + ) and have them on floppy disc and CD's . If you are looking for a particular type of finish, ......Low gloss, High gloss, etc. 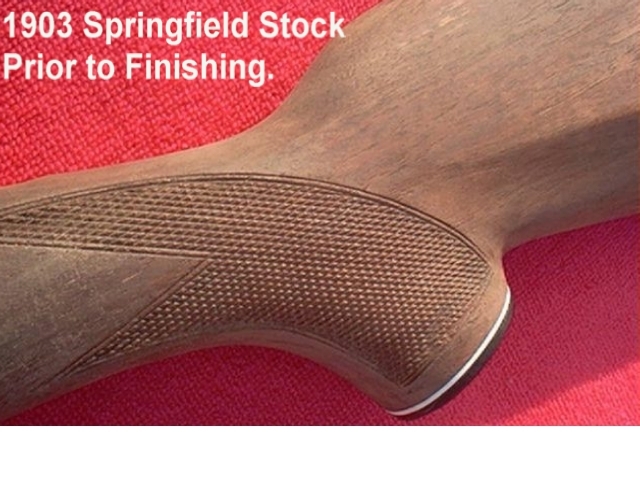 I can send you an E-mail with a photo of a stock that closely resembles your specific stock finishing specifications. This will better enable you to determine my stock finishing potentials. 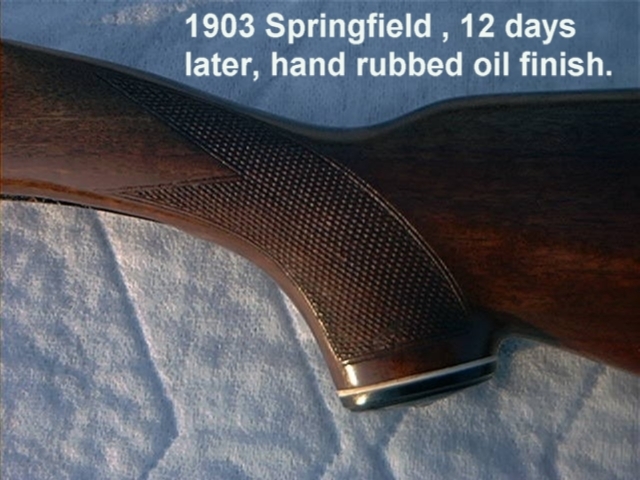 Many of these stocks are on fine custom rifles, however I also, on a routine basis, finish inexpensive hunting rifle stocks and shotgun stocks for my customers. 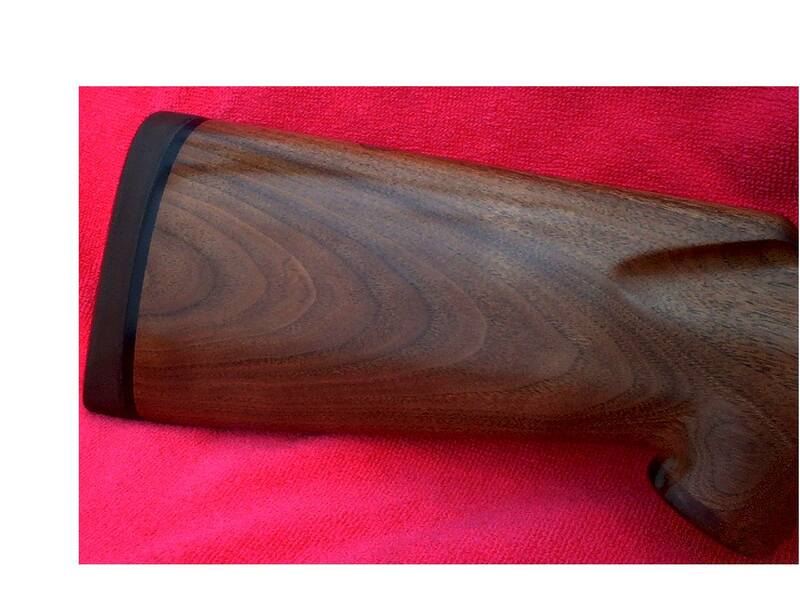 Sako finished in high gloss tung oil.....Beautiful ! .35 Whelen stock done in satin oil, with all pores filled, truly a fine looking custom finish !